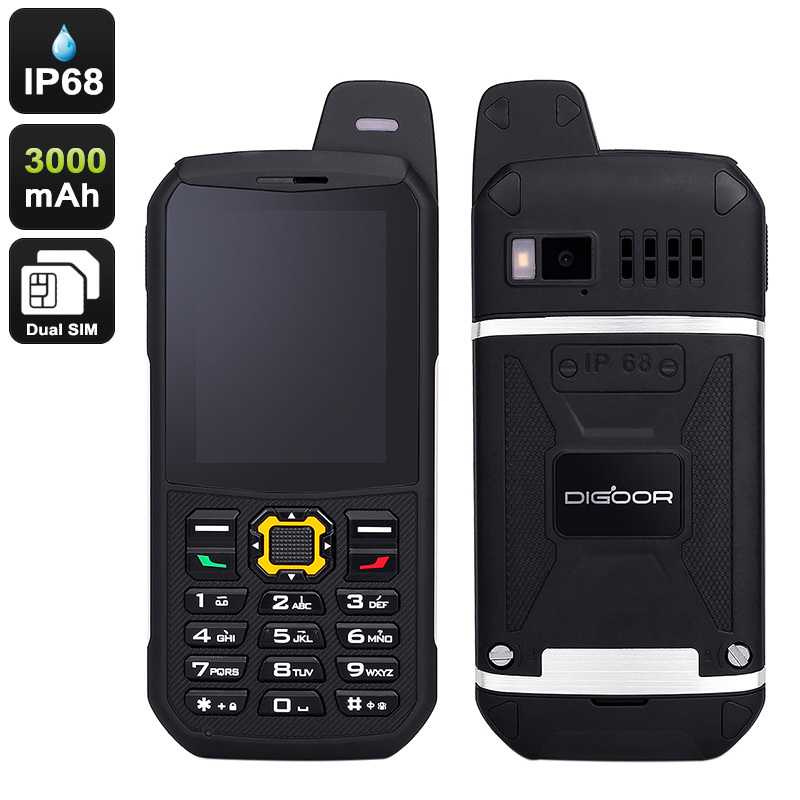 Successfully Added DIGOOR Rugged Phone - IP68, Dual-IMEI, 2MP Camera, 3200mAh Battery, Bluetooth 4.0, 2.4-Inch Display, 32GB SD Card Slot to your Shopping Cart. 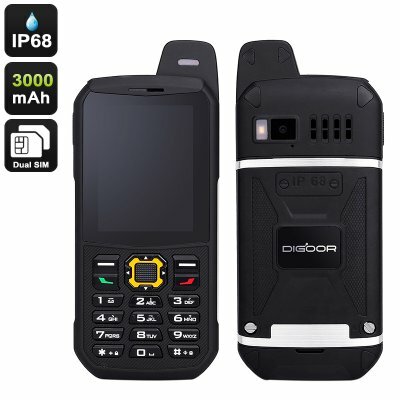 This rugged phone from DIGOOR features an extremely durable IP68 design. Thanks to this, it is fully protected against water, dust, and drops. You’ll be able to carry along this mobile phone anywhere you go without needing to worry about accidentally breaking down. With its Dual-IMEI numbers, it features great connectivity. You’ll be able to slide in two SIM cards and stay connected to both of them at the same time. Thanks to this, you can be guaranteed to stay connected to friends and family no matter where you’re headed. Within its rugged body, the phone holds a 3200mAh battery that delivers up to 16 hours usage time. Additionally, it treats you to a whopping 600 hours standby time. Therefore, you won’t have to worry about running out of juice anytime soon with this cell phone at your side. With its sophisticated hardware, it lets you smoothly enjoy all regular cell phone features. On its 2.4-Inch display, it allows you to enjoy clear visuals at any time of the day. The phone furthermore comes with a 2MP rear camera for snapping pictures and video. This allows you can snap great photographs during your upcoming outdoor adventures. This DIGOOR rugged phone comes with a 12 months warranty, brought to you by the leader in electronic devices as well as wholesale rugged phones..